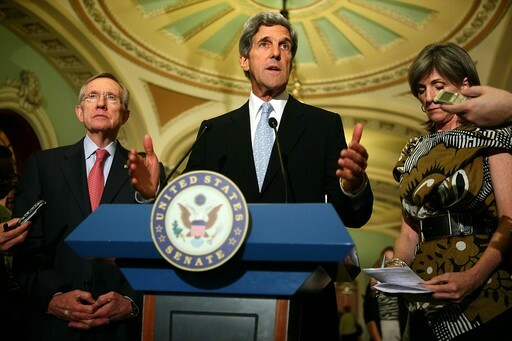 As the Congressional so called “Super Committee” is on the verge of its most predictable failure, Obama administration representatives and congressional democrats are abuzz with their claims that its failure to achieve results is because Republicans will not agree to new taxes. Additionally they have begun to personally vilify the creator of the modern Taxpayer Protection Pledge and leader of American’s for Tax Reform Grover Norquist. All of this has been adopted as a basis the narrative of the day by the Democrat’s tools in the media and blasted across the airwaves. Yet lost in the liberal diatribe is the base question, are the American people truly under taxed or has government expanded beyond the levels the American people desire. Additionally all Americans should be outraged when the state adopts a coordinated attempt to impugn the character and reputation of a single private citizen in the way the Obama administration and their supporters in congress have. The pledge is signed before the election and far from being hidden or part of any back room deal; virtually all who take it proudly feature it as a key part of their election campaigns. This is not a pledge to some special interest group; it is a pledge to the American people and specifically those voters who send the member in question to Washington. What is really shocking is the way in which the Democrat establishment and their media friends seem shocked when elected representatives actually keep their promises to their electors. One can only assume that keeping ones word to voters is a concept which President Obama and the majority of congressional democrats are not in any way familiar. The real question, the ones the Democrats seem unwilling to really address, is the unprecedented increase in federal government spending under the administration of President Obama. While they stand in front of the television cameras claiming to support expenditure cuts, President Obama runs around the country demanding support for his “Stimulus 2 Jobs Bill” which would be funded with additional tax hikes. America is in the midst of the longest and most severe economic downturn since the Great Depression and the Democrat solution is tax increases, which flies in the face of almost ever accepted economic theory. Additionally, if the is second stimulus works as well as the first, the American people may want dig a hole in the back yard and hide because the economic consequences may be catastrophic. 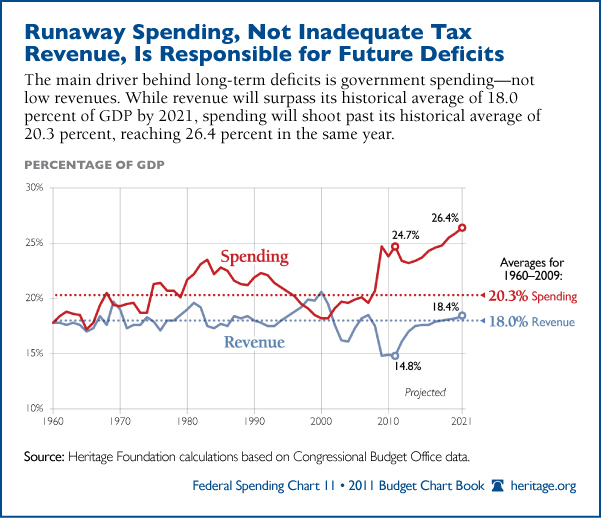 The democrats hold to the myth that they can tax only the “rich” to solve the deficit problem. But the reality is there simply are not enough rich tax payers to tax away the problem and the middle class will have to be taxed to balance the books if Democrats are given their way. We will leave aside that increased taxation on the upper income levels has often produced lower revenues due to capital flight and reduced investment (a story for another day). What the Obama Democrats are doing is attempting to make permanent the record level of peace time spending they have established by putting in place new taxes to sustain it. The only way to get America out of the current economic mess is to fire up the private sector which has always been the true engine of economic growth in this country. One need only look to the current economic turmoil in Europe to see that higher taxation is not a solution to government overspending; it simply feeds the beast of government excess. This brings us to the unprecedented attacks by the Obama White House and his congressional Democrats on Grover Norquist, president of Americans for Tax Reform. It seems whenever the left wants something they need to create a villain of the day, and to give them cover for the failure of the “Super Committee” they have found Norquist. To be clear, I do not know Grover Norquist, have only met him in person in passing at CPAC meetings and have never contributed to Americans for Tax Reform (something I may have to reconsider). It is outrageous that the full power of the federal government, as controlled by its chief executive, the President would target the destruction of the character and reputation of a private citizen. One is drawn back to the late 90’s when operatives of then President Clinton tried to discredit a certain former intern as “a little bit nutty and a little bit slutty” until a blue dress emerged with Clinton’s DNA making that a dead line of attack. Now Norquist is the target because the leftist Democrats know attacking the Republicans directly for keeping their word to their electors by honoring the Taxpayer Protection Pledge has never worked in the end. It’s time the media who so often lament politicians who come to Washington and forget the promises they made to voters, point out that those rejecting new taxes today are simply keeping their word. Elections matter, a fact conservatives and Republicans had to accept after the 2006 and 2008 elections. Unfortunately the Democrats failed to show the American people their way worked and in 2010 the people revoked their mandate. Republicans were elected overwhelmingly with open support of the Taxpayer Protection Pledge. For Republicans to accept higher levels of taxation for Americans now would not only be bad policy, it would be a breach of their commitments to their voters. 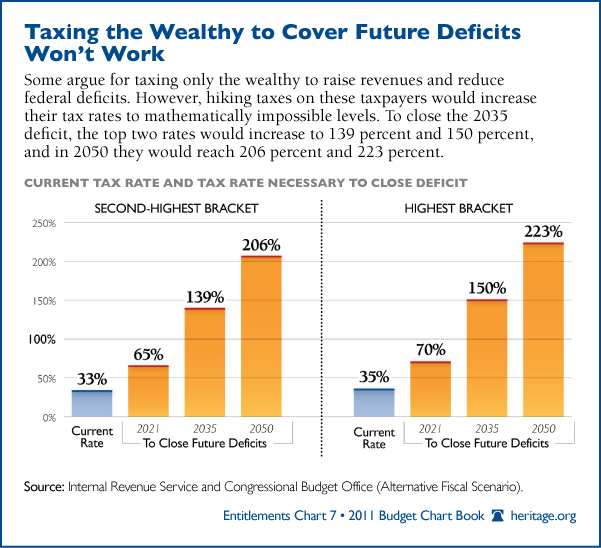 If the Democrats want higher overall taxation in America to support their expansion of the Federal Government, they should run on that platform in 2012. Maybe Walter Mondale’s campaign manager is available to help them.